Karen Ogen-Toews is the CEO of the First Nations LNG Alliance, a society of First Nations in support of responsible LNG development in B.C. – with a priority on the environment, and on First Nations consultation and engagement. Karen brings extensive experience to her role, having served as Chief of the Wet’suwet’en First Nation for six years. 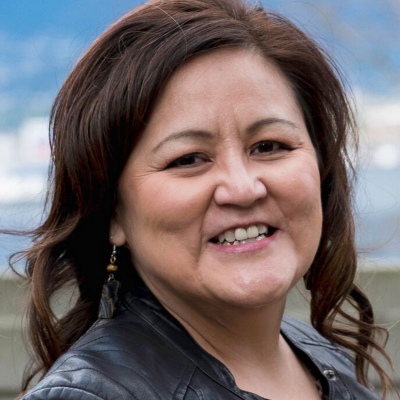 She is familiar with the needs of Indigenous communities throughout B.C., and seeks to increase economic opportunities for First Nations through providing information and education regarding responsible resource development. While Karen recognizes that not all projects will be appropriate for all nations, she hopes to help inspire more First Nations to consider and engage in discussions with industry and government around the possibility of resource opportunities. Karen’s academic background is in social work. She achieved her Master’s degree from the University of Northern British Columbia in 2007, and graduated from the Indigenous Governance Certificate Program from the University of Victoria in 2010. Karen also serves as a member of the following entities: Premier’s First Nations Advisory Committee, the Energy Roadmap Advisory Team for the Ministry of Energy, Mines and Petroleum for the province of BC, the Yinka Dene Economic Development Limited Partnership board (the economic arm of the Wet’suwet’en First Nation), and the Resource Works Society.